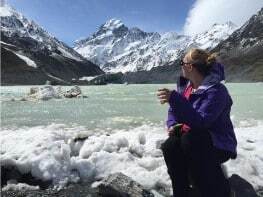 As a travel blogger who also has a demanding full-time career, it is often fairly overwhelming trying to keep up with not only *creating* lots of great content, but then figuring out how to get people to actually SEE it. And while that’s challenging on a day-to-day basis when I’m at home and working, that gets exponentially harder when I’m traveling. I mean, do I want to spend all my time on my computer, or out doing something like this?? So over the past year and a half I have tested different tools, software, blog plugins, and more to figure out how to be as efficient as possible while still putting in the immense effort it takes to grow a quality blog and social following. I don’t have nearly the size of some sites and influencers, but I definitely have seen strong organic growth in the past year and wanted to talk about just one of the tools that I believe has played a role: Tailwind. What you need to know about Tailwind: It’s not a silver bullet. It’s a TOOL that helps you be faster, more efficient, and amplify your potential organic reach. Below I’ve laid out how I’m viewing success on my end, some of the things I love about Tailwind, and a few things that drive me nuts about it. I’m hoping that this is helpful for other bloggers who are trying to decide whether to use it, and which paid option to choose. Please feel free to leave me comments with questions below, or share your own experiences! Want to give Tailwind a try for free? Use this link, and you have 100 pins or 30 IG posts to decide if it’s for you. 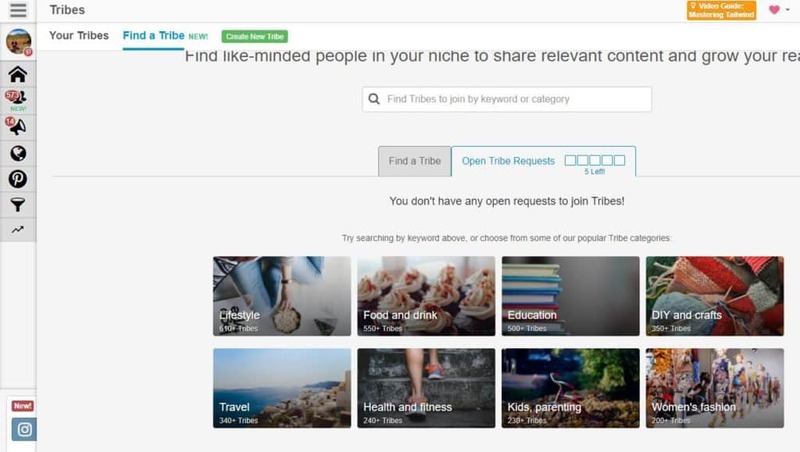 There are various levels, including “Power Up” options (like Tribes, which I’m a huge fan of), but this will give you a chance to decide if it will be effective for your blog or social channels. Note, this is not a paid placement or official partnership at all. This post does include an affiliate link and I may make a small affiliate commission/benefit from any eventual sign-ups that come through the link (which I greatly appreciate, and at no extra cost to you…in fact it offers a free trial). However, all opinions are, as always, completely my own! Learn more here. I’m a data girl, so let’s look at some numbers. As of early March, Pinterest was accounting for 45% of my blog traffic since launching in November 2016, but almost 60% in the last few months since I started using Tailwind. Follow One Girl, Whole World on Pinterest for more tips & inspiration! To break that down even further, 60% of that is coming as a result of Tailwind activity (the pinterest / social line below), and the remainder from regular activity I’m pinning organically directly on Pinterest (the pinterest.com / referral line). Obviously everyone’s results will vary (Tailwind has published typical results here, if you’re interested). I like that I don’t have to put tons of effort in…I’m not an insane power user, but can still get strong results. 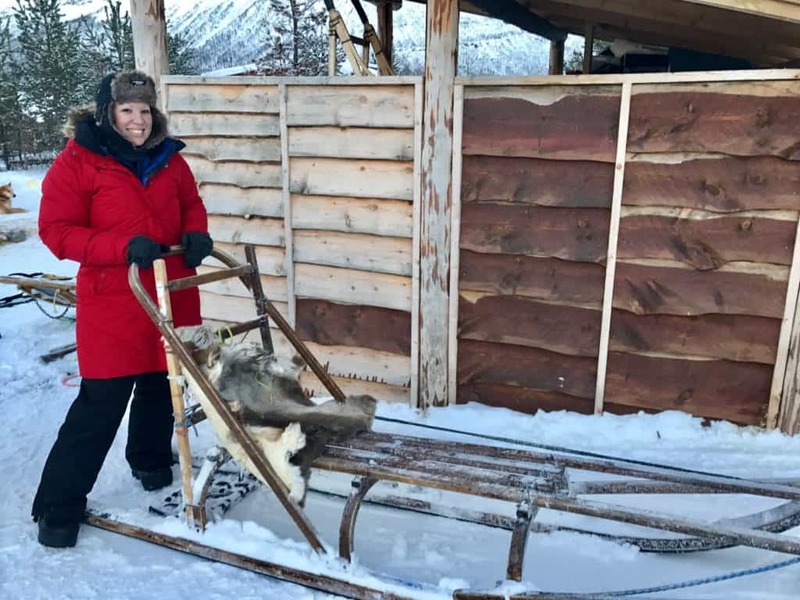 It saves me loads of time: Tailwind allows me to spend far less time scheduling, schedule my pins for times when people are engaging with my content, and schedule things ahead of time for while I’m traveling or working crazy hours. It drives affiliate traffic & sales: Pinterest accounts for almost half of the traffic to the page that generates almost all of my affiliate income currently, and would be much higher except I ran a paid search campaign with a free credit that accounts for most of the rest. It would be almost 100% otherwise. It magnifies my reach and leads to impressions and follower growth over time: Similar to organic search growth, there is a cumulative effect for people pinning your content and how much you share other people’s content. Most of us can’t spend an hour or two a day pinning to get that same effect, plus we can’t naturally spread pins out throughout the day to get in front of people when they’re browsing. Just in the past 30 days I’ve grown from around 98 followers to 122, and that’s in line with normal now. I think I had like 18 followers when I started using Tailwind in August, after 9 months of using Pinterest to promote my blog. It surfaces quality content easily for me to pin, rather than having to seek it out: This wasn’t something I’d thought about before, but it actually can take a lot of effort to find 20-25 new pins to share every day. Being in a number of Tribes is not only helpful for getting my own content in front of people with bigger followings than I have, but also gives me easy access to TONS of great pins from all sorts of different travel genres. Despite all this, I go back to my original statement, which is that Tailwind isn’t a silver bullet. You should still find other ways to supplement your Pinterest growth, such as occasional Facebook group activity and group boards on Pinterest. This is your view as soon as you log in. It gives you a sense of how your past 7 days’ performance has been vs. the 7 days before that. In the right corner it also lets you know if you have boards or other elements of your Pinterest account that aren’t optimized well (such as missing descriptions). If you click on any of the green links (like “6 followers”), it will take you to a deeper analytics dashboard. Unfortunately at the small business/blog level, I can only see the past 30 days, but it gives me a good snapshot of growth (or lack thereof) and how my engagement is—and it’s better than before, where I could see only the past week. On the left if you hover over it, you’ll see your navigation options. There are areas I can’t access at my small business/blog level, which is frustrating, but the two biggest ones I focus on are Tribes and Publish. Like I said above, one of the key Tailwind elements that makes my life easier is the ability to schedule pins as far ahead as I want. I’ve seen different “best practices” for the number of pins you should pin each day (everything from 10 to 25+) but everyone agrees that pinning at least 10 times per day will help your website and your Pinterest profile grow over time. Within I can schedule a bunch at a time—a day, two days, even a week ahead if I have the time to devote at once. This way if I’m traveling and won’t have good internet access or the time or energy to spend scheduling every day, I can still make sure that my blog is getting the support that it needs. You can choose the times yourself, or create a Smart Schedule, which determines the best time of day to pin for each day of the week. That’s what I do, and I also re-create my Smart Schedule every few months since pinner behavior shifts over time. The other major thing I use Tailwind for is the Tribes. Anyone can start a Tribe, but basically it’s a way for different bloggers and power Pinners to share their pins and support other people. Each Tribe has its own set of rules (e.g. pin 2x pins for every one you add, vertical pins only, add max 3x per day) and some are broad while others have more of a niche, like budget backpacking. With the plan I have, I can be in up to 10 Tribes. Some you can add right away, others require you to apply (typically providing your Pinterest name, blog, and confirming that you understand the rules). You can also get a sense of how much overlap the members have with other Tribes you’re already in, which is helpful for preventing too much saturation of the same pins over and over. And you can see how active the Tribe is, to get a sense for how much value you’ll get out of it. So, this has actually changed dramatically in the past couple months (as of April 2018, when I’m posting this). It used to be that my biggest frustration was that the analytics provided at the small business/blog level were super limited (like only past 7 days, and a bunch of the different reports aren’t available at all). That’s improved somewhat, you can see 30 days back in the areas you’re allowed access to. I believe they’ve oversold the reporting initially, and as a data nerd that was disappointing. Now, the #1 thing that drives me nuts is their new rules around how many pins you can submit to Tribes without paying an additional amount. I already have a paid account, and with what I currently pay ($10/month, or $120/year), as of January 2018 they changed it to where I can only submit 80 pins to the tribes. I can still pin an unlimited amount of other peoples’, but it limits what I can submit of my own. But with 10 Tribes, that’s only 8 pins per month I can submit in each tribe, which really cuts down on the incentive to engage with other peoples’ pins. I’d have to pay twice as much to get 200 submissions of my own per month, and unlimited Tribes memberships. And that’s really frustrating to me. I do still use the Tribes a ton, pin other people’s content, and submit as much of my own as I can—and continue to see growth in my blog. Even with that frustration (and I really hope they change that down the road), I am getting a ton of value out of Tailwind in how much time it saves me and how it helps me grow traffic to One Girl, Whole World. 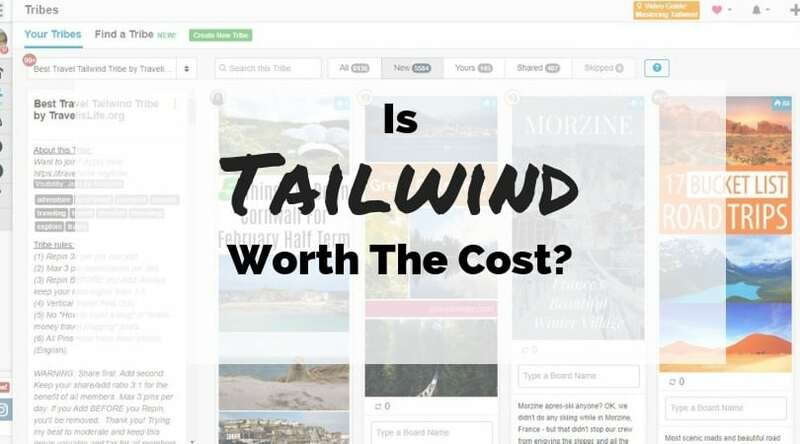 Want to give Tailwind a try for free? I’d be curious to hear any questions or thoughts you have about my particular Tailwind experiences so far—hit me up in the comments and I’m happy to share! If you’re thinking about using it but don’t want to commit yet, you can get a free trial of Tailwind by clicking on this link (no credit card required). This is how I started out because I really wasn’t sure it was worth the money, and it gave me a chance to try it out and see if it was something that I’d actually use and gain value from. You’ll get 100 free pins or 30 free Instagram posts, depending on which social channel you decide to connect (paid plans for each are separate).